Weak faith considers what can be seen, staggers in unbelief, neglects praise, and is only partially persuaded. 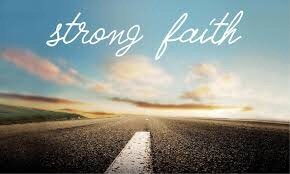 Strong faith, however, ignores what can be seen, walks confidently, gives God all the glory, and is fully persuaded! It never doubts God’s promises or His ability to perform them! Let’s be strong!